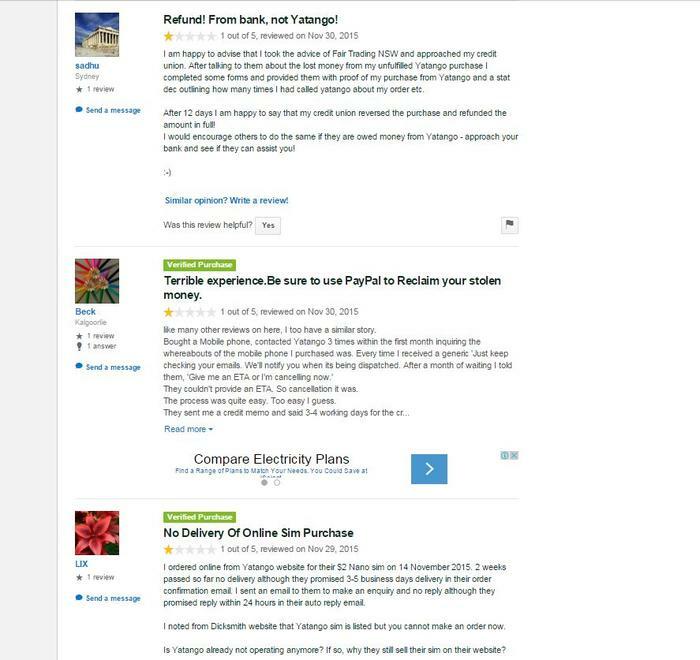 Refunds in the vicinity of hundreds of thousands of dollars are owed to Australians who have purchased smartphones from online retailer Yatango Mobile. Most customers have been waiting to receive their smartphone, tablet or camera for more than four months. A source, who spoke to PCWorld under the condition of anonymity, said customers were left in the dark with little to no communication. “The amount Yatango would’ve had to refund customers whose orders were not fulfilled would've been around $200,000,” said the source. The only communication provided to customers were automatic responses intended to buy the company more time. More than 19 pages of single-star reviews have been published by customers venting about their frustrated experiences in a bid to warn potential shoppers. Almost every single review in recent months has a one star rating, though one-star ratings started as early as January. Yatango Mobile continued to process orders knowing it would struggle to meet its obligations, said the source. Slow days would result in 25-30 order being processed, but it was more common for 50-75 orders to be placed daily. Cash flow issues caused the company to constantly change suppliers. It’s “been playing the catch up game for a year-and-a-half now”, the source said, adding company employees would “check around for suppliers who weren’t owed money” to fulfill orders. Suppliers alone were owed approximately $300,000. Customer smartphones being repaired under warranty are being kept hostage. "[Yatango Mobile] use a couple of third party repair centres, but they haven't been paid, so they haven't released the phones back to customers." Only recently did the company stop taking orders, said another source who declined to be named. The company dismantled its checkout process last month when it voluntarily entered administration. Searching the Yatango Shopping URL now returns a blank, white page. Chief executive Andy Taylor has yet to address customers waiting for their purchases to be delivered. Many customers have been forced to contact their financial institutions for refunds. Andy Taylor did not respond to a request for an interview.